Our unified approach to procurement solutions delivery — integrating strategy, software and managed services — helps clients achieve their strategic, operational and financial objectives. SMART by GEP is the industry’s leading cloud-native, unified source-to-pay platform with comprehensive spend, sourcing and procurement functionality. It leverages the power and scalability of the cloud to offer a single, end-to-end solution that enables and accelerates digital procurement transformation. The platform utilizes artificial intelligence and big data analytics to streamline and automate processes, optimize workflows, improve productivity and enhance user experience. As a unified solution, SMART by GEP eliminates the need for separate, stand-alone modules to manage your source-to-pay operations. The platform works seamlessly with all major ERP and F&A systems, so you can leverage your existing investments and infrastructure. GEP counts scores of the world’s most successful, blue-chip brand names among its customers. They dominate their respective industries, and include the top-ranked global leaders in manufacturing, consumer packaged goods, IT, oil & gas, telecommunications, diversified chemicals, restaurants, medical equipment, healthcare services, transportation, and more. Our burgeoning client roster consists of the business world’s movers and shakers — over 75 percent are Fortune 500, Forbes Global 2000, and other market-leading enterprises. Clark, New Jersey-based GEP has 14 offices and operations centers across Europe, Asia and the Americas. This post is part of our 2016 Year-End Procurement Tech Review series, in which we offer procurement practitioners a bird’s-eye view of some key vendors and their solutions in select categories. This week, we’re highlighting companies in the sourcing (including e-sourcing) and supplier management spaces. GEP (formerly Global eProcure) is an integrated procurement solutions and services firm that offers managed services (including full BPO capabilities), transformation services (i.e., consulting) and its own internally developed source-to-pay (S2P) technology suite. The combination of these individual capabilities from a single provider, especially as they become increasingly synergistic, makes GEP truly standalone in the industry. At this point, GEP has clearly reached critical mass to deserve being added to the short list of any Global 2000 firm, with the exception of firms that have outsourced to a large BPO that competes with GEP and is unlikely to consider it for competitive reasons. 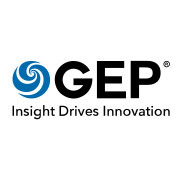 For procurement organizations today, GEP is the proverbial Swiss Army knife that can accelerate a procurement transformation with a global technology platform and services capability that sit under one roof. Cloud-based procurement technology remains a core part of its business today, independent of services. This is increasingly creating a thorn in the side of competitors ranging from large ERP providers to source-to-contract specialists, giving customers added choice to work with a provider that has DNA quite different from alternatives. The SMART by GEP technology platform itself is a comprehensive S2P platform that is differentiated in source-to-contract functionality. From the moment an organization walks up to SMART by GEP, it is clear it was built by and for procurement practitioners. Today, although SMART by GEP’s P2P functionality isn’t market leading relative to P2P specialists, we expect the firm’s strong design-thinking and customer partnering approach (based on some large P2P customer wins) will help GEP close this gap over the next few years. Moreover, today, these attributes, when combined with SMART by GEP’s native mobile functionality, can provide some basis of differentiation in cases where a procurement organization cares more about an integrated suite capability, rather than checking the modular box on an e-procurement or e-invoicing “feature 500”-type list. For a more comprehensive analysis and guide for procurement organizations looking to understand whether they should consider adding the provider to their shortlists for consideration, please head over to the Spend Matters Almanac.